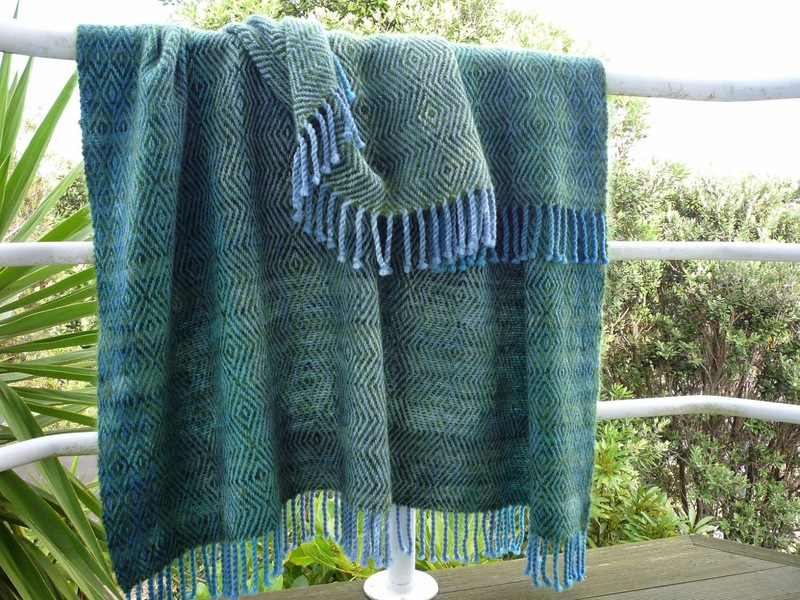 Two blankets off the loom this week and on their way to Pauanesia shop in Auckland. They reflect the muted blues of Anawhata Beach and the bush leading down to it. And we're off on a road trip to the Nelson area and to attend the Professional Weavers Network annual Seminar. No doubt there will be more to talk about in a few weeks.